Jacqueline L. Stanton, 71, of Colona, passed away June 5, 2017, at her home. Per her wishes, she will be cremated and a graveside service will be 10:30 a.m. Monday at Rock Island National Cemetery. Anyone wishing to attend the graveside service should meet at Schroder Mortuary in Colona at 9:45 a.m. Quad Cities Cremation Center is assisting the family with arrangements. Jacqueline was born Oct. 8, 1945, the daughter of Opal and Hazel Wolfe Pike. She married Eugene Stanton Jr. Nov. 28, 1975, in Moline. Jackie worked as an RN in many area hospitals and nursing homes. She enjoyed camping, fishing, playing bingo and spending time with her kids and grandkids. 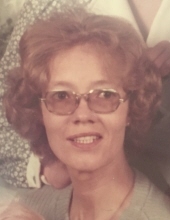 Survivors include her husband, Gene; daughter, Rebecca Keen; sons, Christopher (Melissa), Anthony and Stephan Stanton; grandchildren, Mary Jane, Ari and David; sister, Janice (John) Ovens; and a brother, James (Marsha) Jones. Jacqueline was preceded in death by her parents. Online condolences may be sent to the family at illowacremation.com. To plant a tree in memory of Jacqueline L Stanton, please visit our Tribute Store. "Email Address" would like to share the life celebration of Jacqueline L Stanton. Click on the "link" to go to share a favorite memory or leave a condolence message for the family.